Samsung, as previously reported by many websites, it working on it's own operating system called "Tizen." BGR recently posted an article in which they report on Samsung's hopes Tizen will be the alternative OS. 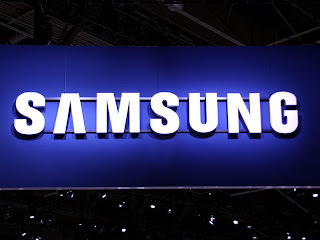 I believe that Samsung intends Tizen to be the OS that breaks them free of the need for Google's Android operating system for smartphones and tablets. "There are many convergences not only among IT gadgets, including smartphones, tablets, PCs, and cameras, but also among different industries like cars, bio, or banks. Cross-convergence is the one [area] Samsung can do best since we do have various parts and finished products." I don't know about you, but a few things make me worry for Samsung. First off, that co-CEO thing. Ask RIM how that worked out for them. Secondly, Samsung does a horrendous job putting their software on top of Android, now they're writing their own operating system. And lastly, when I hear talk about putting smartphone operating systems in all sorts of consumer electronics like cameras, banks and ATM machines, cars...I start to think about all the grandiose plans I recall reading about PalmSource Palm OS 5, ACCESS' Access Linux Platform (aka Palm OS 6), and even Palm/HP webOS. All of those efforts failed to even come close to reaching the kind of market penetration that was talked about. Samsung, for it's part, does control a number of product lines where they can just say we're going to put the Tizen OS into this refrigerator and it will happen. And Tizen will gain marketshare just from the sheer amount of gadget spam and appliances they put out. But will people really want to run apps on their fridge, coffee maker, and toaster? Maybe some day, but it looks doubtful for the next few years. At least Samsung isn't planning on abandoning the use of Google Android in their smartphones and tablets any time soon.